Click to read our speaker bios. Chairman, President & CEO, Jack in the Box Inc.
Ray A. Cameron, Managing Director, is the Head of BlackRock’s Investment Stewardship team for the Americas region based in New York. In this role, Ray leads a team of specialists responsible for engagement and proxy voting activities in relation to the companies in which BlackRock invests on behalf of clients. Through direct engagement with companies, the team encourages corporate governance practices that support sustainable financial performance over the long-term. Prior to joining BlackRock, Ray most recently managed the corporate access engagement practice at several investment banking firms, including Stifel and Cowen. In these capacities, he oversaw teams that established and enhanced constructive dialogue with hundreds of portfolio companies’ boards and management teams. Ray started his Wall Street career at Morgan Stanley on the institutional equity sales desk. After spending several years as a generalist, he became a technology specialist. It was in that capacity, he recognized the potential of corporate access as a stand-alone business opportunity. Ray is credited for creating and managing the first fully integrated corporate access team on Wall Street. His team included a diverse group of sector specialists who were responsible for driving engagements in their respective industries and enhancing relationships with corporate boards and management and with internal investment professionals within the firm. He was subsequently recruited to re-engineer the corporate access engagement practice at Lehman Brothers. There he successfully maintained the entire team through the Lehman bankruptcy filing and the eventual acquisition of equity assets by Barclays. Ray earned his Masters of Business Administration degree from Southern Methodist University, Dallas, Texas and his Bachelors of Business Administration degree from The University of Texas at Austin. Lenny Comma is Chairman of the Board and Chief Executive Officer of Jack in the Box Inc., which operates or franchises more than 2,200 Jack in the Box® restaurants in 21 states and Guam. Since joining the company in 2001, Lenny has held various positions of increasing responsibility and was named Chairman of the Board and CEO in January 2014. In his previous role as President and Chief Operating Officer, Lenny was responsible for the operations of all company and franchised Jack in the Box locations, as well as for Menu Innovation, Marketing Communications, Consumer Intelligence & Analytics and Internal Brand Communications. Lenny joined Jack in the Box Inc. in 2001 as Director of Convenience Store & Fuel Operations for the company’s proprietary chain of Quick Stuff convenience stores, which included more than 60 locations at the time it was sold in 2009. In 2004 he was promoted to Division Vice President of Quick Stuff Operations, and in 2006 he was promoted to Regional Vice President of Quick Stuff and the company’s Southern California region, which then included more than 150 company Jack in the Box restaurants. In 2007 he was promoted to Vice President of Operations, Division II, and had oversight of nearly 1,200 company and franchised restaurants in the Western U.S. Lenny was named Senior Vice President and Chief Operating Officer of the company in February 2010 and was promoted to President and Chief Operating Officer in May 2012. Prior to joining Jack in the Box Inc., Lenny was a Regional Manager for ExxonMobil, where he was responsible for supporting more than 300 franchisees in California, Nevada and Arizona. Lenny also serves on the board of The Jack in the Box Foundation, a non-profit organization that focuses the company’s charitable donations to make a difference in communities where employees, franchisees and guests of Jack in the Box restaurants work and live. Lenny has an MBA from Nova Southeastern University in Fort Lauderdale, Fla., and a bachelor’s degree in finance from Drexel University in Philadelphia. 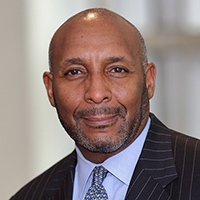 Robert J. Jackson Jr. was appointed by President Donald Trump to the U.S. Securities and Exchange Commission (SEC) and was sworn in on January 11, 2018. Commissioner Jackson has extensive experience as a legal scholar, policy professional, and corporate lawyer. He comes to the SEC from NYU School of Law, where he is a Professor of Law. Previously, he was Professor of Law at Columbia Law School and Director of its Program on Corporate Law and Policy. 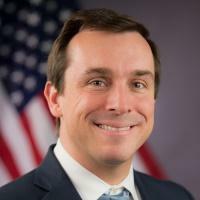 Commissioner Jackson’s academic work has focused on corporate governance and the use of advanced data science techniques to improve transparency in securities markets. He was the founding director of Columbia Law School’s Data Lab, which used cutting-edge technology to study the reliability of corporate disclosures. Commissioner Jackson has written more than 20 articles in the nation’s most prestigious legal and economics journals. 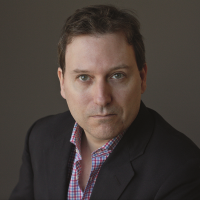 His published work includes a study shining light on trading activity before the announcement of major corporate events, the first study of the effect of mandatory disclosure required by the JOBS Act on trading by individual investors, and the first comprehensive study of CEO pay in firms owned by private equity. In 2012, Columbia Law School students honored Commissioner Jackson with the Willis L.M. Reese Prize for Excellence in Teaching. He has testified on his scholarship before the U.S. Senate, and his work was previously the subject of rulemaking commentary before federal agencies, including the Federal Reserve and the SEC. Before joining the Columbia Law School faculty in 2010, Commissioner Jackson served as a senior policy advisor at the U.S. Department of Treasury, working with Kenneth Feinberg, the Special Master for TARP Executive Compensation. In this role, he oversaw the development of policies designed to give shareholders a say on pay, improve the disclosure of executive bonuses, and encourage TARP recipients to more closely tie pay to performance. Earlier in his career, Commissioner Jackson practiced law in the executive compensation department of Wachtell, Lipton, Rosen & Katz. 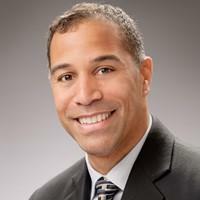 Commissioner Jackson holds two bachelor’s degrees from the University of Pennsylvania, an MBA in Finance from the Wharton School of Business, a master’s degree from Harvard’s Kennedy School of Government, and a law degree from Harvard Law School. He was born in the Bronx, New York, and is a lifelong Yankees fan. 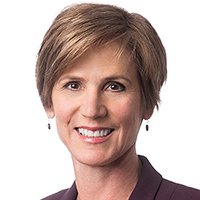 Former Deputy Attorney General Sally Yates is a partner in King & Spalding’s Special Matters & Government Investigations practice. Sally’s deep experience, leadership and wide-ranging background provide clients with strong, independent judgment in difficult times. As the second-highest ranking official at the U.S. Department of Justice (DOJ) and as Acting Attorney General, Sally was responsible for all of DOJ’s 113,000 employees including all prosecutorial, litigating, and national security components as well as all U.S. Attorney’s offices and law enforcement agencies and the Bureau of Prisons. Sally oversaw DOJ’s most significant matters and was instrumental in setting DOJ’s enforcement priorities and initiatives. Known for her lifelong, nonpartisan focus on public corruption, Sally is recognized worldwide for her integrity and credibility. A Fellow of the American College of Trial Lawyers, she specializes in independent investigations for public and private organizations and boards.